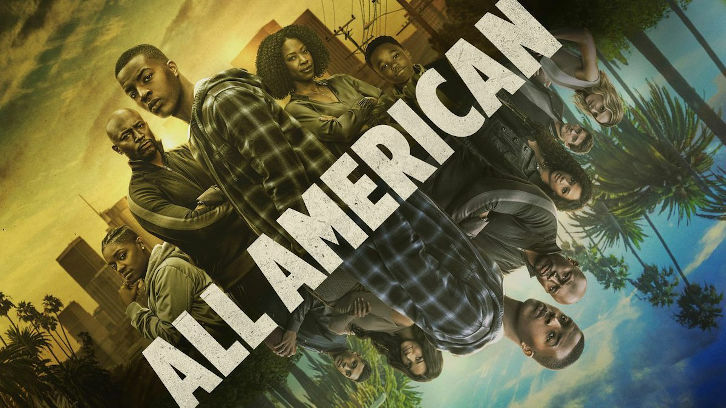 I’m filling in for Jessica this week so the review for All American might look a little different but I’m excited because I love this show so much and episode 9 delivers outstanding performances, especially from Daniel Ezra (Spencer). 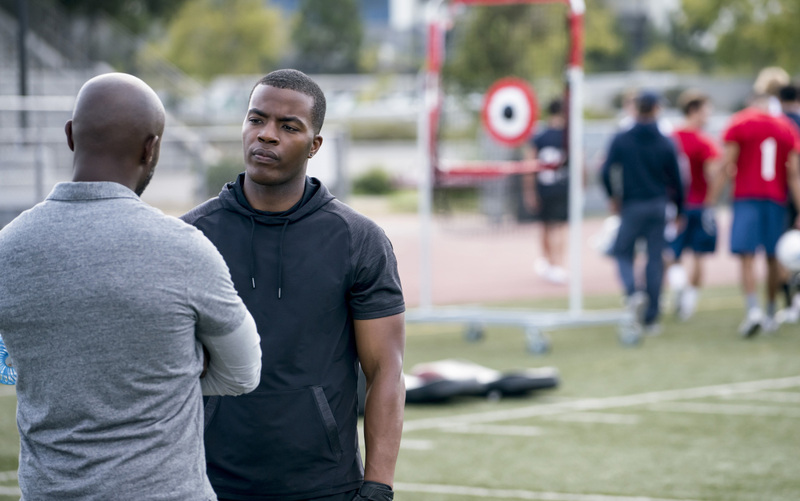 It’s the aftermath of an explosive mid-season finale that lost us Sean, and the whole community of Crenshaw is suffering, but especially Spencer and Coop. 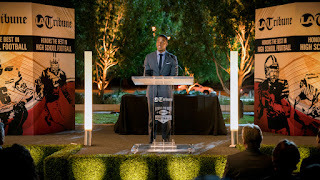 While Spencer is dealing with trying to be there for his community, he is also awarded the divisions player of the year award which requires him to go to an event to give an acceptance speech. He ends up giving a really powerful speech by honoring his community and the young lives that has been lost from violence. Spencer questions throughout this episode why he got the chance to get out of Crenshaw and make something of himself while so many others there end up being taken from this life way too young. Spencer and Layla also continues their relationship but they are currently keeping it a secret. Coop is getting in way too deep, trying to get revenge for what happened to Sean. I’m honestly so worried about her. Coop is one of my favorite characters on this show and it just seems like she won’t be able to get out of this gang mess that she’s in. Spencer is worried about her, Patience is worried about her and I’m pretty sure that every single audience member is worried about her after seeing what happened to Sean. Asher is barely in this episode but he’s skipping school and playing pool while hiding out and feeling sorry for himself. I do think that he did mess up a lot but I’m just hoping that the writers are planning a redemption arc for him because I do feel sorry for him and I also feel like he is really misunderstood. 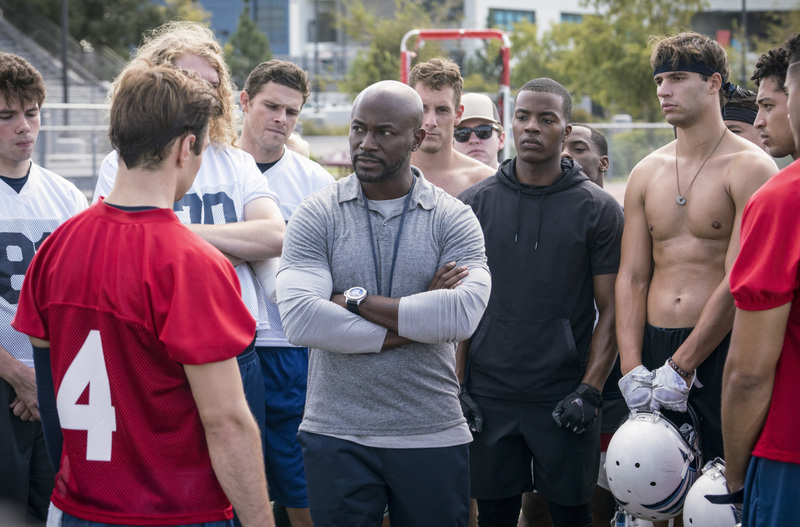 Jordan is worried about the drug test that he took in the last episode and he is completely convinced that ones the results come back, it will end his season and his chances of playing football in college. Coach Baker tells him later in the episode that he was lucky and he passed the test, but Olivia isn’t buying it since she knows how long it takes for drugs to leave your system. She confronts her dad about helping Jordan pass the drug test but Coach Baker lies to her and tells her that he didn’t have anything to do with helping Jordan. I just know that this will come back and really screw things up for Coach Baker who in this episode also won the award for coach of the year. I know that his intentions were good when he helped Jordan passed the drug test but I think that this could end up completely ruining coach Bakers career. Favorite character: I absolutely loved Spencer in this episode, I just felt so much for him but I have to say that Grace should win all the parenting awards. She is just so incredible in every single way. The way she is always there for Spencer and really puts things in perspective for him, I just loved that so I have to say that Grace was my favorite character this week. Best/Favorite scene: I really enjoyed the flashback scenes in this episode. I feel like the audience got to understand a bit more about Sean and especially his relationship with Spencer. I always wanted to believe that there was more to Sean that we actually got to see and he really was Spencer’s “guardian angel”, so all the flashback scenes in this episode were some of my favorites. Especially the one on the swings with Coop, Spencer and Sean when they were kids. What did you think of this episode of All American? Please, let me know your thoughts in the comments below.